Listed for being one of New England's 'Best Coastal Towns', we explored the charming seaside wharf of Madison, Connecticut. Offering a winning combination of culinary delights, breezy scenery and waterside experiences, this gem is sure to ground you right back into nature. Hammonasset Beach State Park (Connecticut’s largest sandy expanse) features gentle swishing of the tides from the Long Island Sound as opposed to the roar of the wide open Atlantic, allowing for an abundance of wildlife. Interestingly, evidence of what used to be a glacier can be seen from a perch looking out across from Meigs Point Nature Center. Multiple activities for generations young and old are abound in this marshy area from hiking to biking, seducing the very thought of busy city life being miles away. While it was a short 24hr stay, it was a privilege to lay our weary heads at the luxurious Madison Beach Hotel resting on the very end of Wharf Street. Adorned with specialty soaps, terrycloth bathrobes, and pillow top mattresses, washing the day away becomes a blissful retreat. The imminence of sweet dreams are made possible by the decadent chocolates at turn down. Mornings were laced with warm rays of sunshine rising over this waterfront property and freshly delivered hot coffee & tea. Room service breakfast was a tasty convenience and the omelets were especially fresh and delightful. If the fairytale vibe and pampered feeling is your thing then be sure to also take advantage of their amazing spa services! Many weddings and special events are hosted at the Madison Beach Hotel where service is clearly above all. Eat like a local and enjoy a comfortable, unpretentious meal, byway of a 3 minute walk down to Christy's Madison, where they are known for their gigantic piping hot pancakes! Proudly boasting over 40 varieties of Pancakes you are sure to find your favorite! Charming and quaint, Madison is the perfect coastal Connecticut destination, only about 90 minutes from NYC and the Hudson Valley. Although we love our road trips, it was so convenient to find this nautical nook without having to lug ourselves all the way out i-95 and 495. And I must give a proper shout out to the BEST place to get a Lobstah Roll! Head east on i-95 over 3 exits to Clinton. 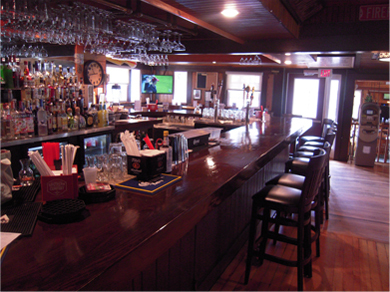 Down to the waterfront stop by Lobster Landing (open seasonally) 152 Commerce St, Clinton, CT.